If you require a cabling system look no further. With over 20 years experience in providing structured cabling, Nerencom can provide a reliable, manageable and well designed cabling solution for all your needs. The backbone of any communications system, whether voice or data, is the cable plan. Properly installed and configured for your current and future organizational requirements, it will provide years of fault free operations. 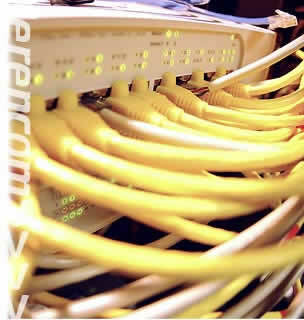 Nerencom offers a complete cabling design, installation and project management service. Due to our high degree of technical expertise, Nerencom is fully certified to handle both Molex Premise Networks and AMP Netconnect. We are also a preferred installer for State Government Departments. Whether you need 1000 outlets of structured cabling to run Gigabit applications or a simple network point test Nerencom can deliver.